As usual, I used my favorite matte topcoat from Essence. I love the different glitters all layered together! 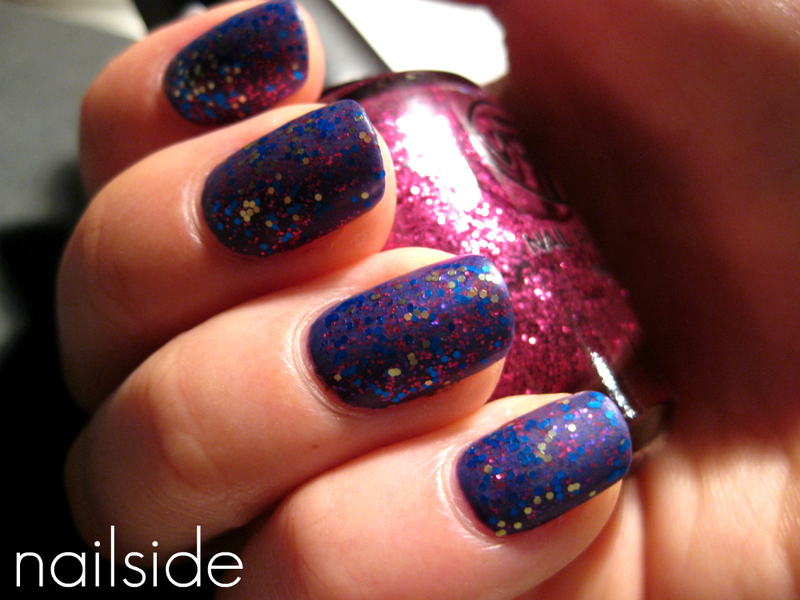 *drool* Anything purple, anything glitter, I absolutely have to have. My weaknesses! That first combination is completely stunning! Very pretty! I might need to get my hands on these polishes! 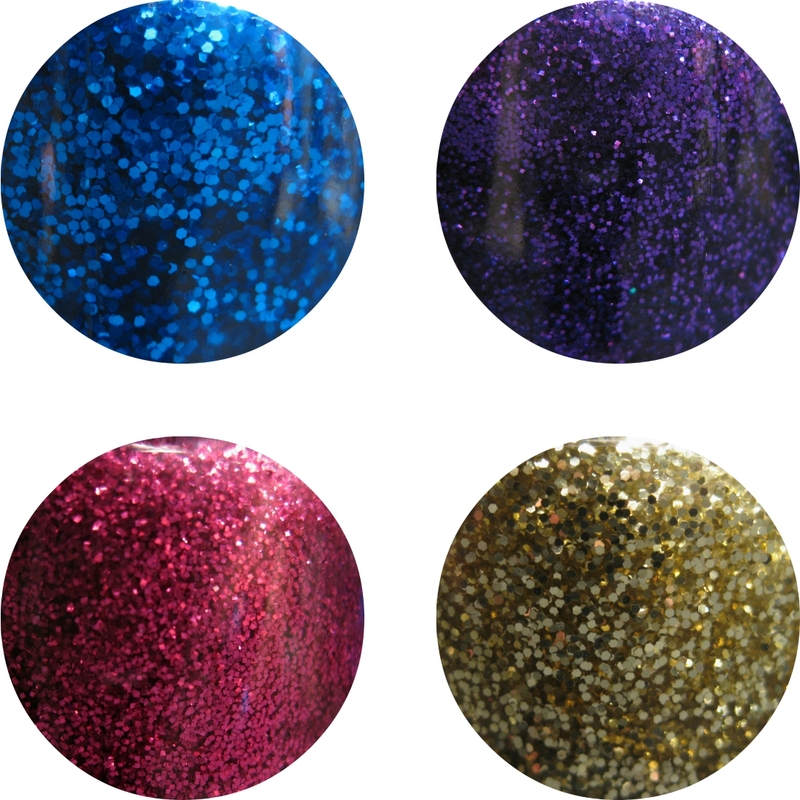 Such pretty glitters :-) I can never get enough of them! Oh deze combinatie heb ik ook vaak op, zo mooi! Ooohhhhhhhh yummmyy!!! I love matte glitter, it always looks amazing! WOW!!!!!!! I love the blue one!